I think more people should know about Inchies and Twinchies. Discover what they are below. What's the Difference between Inchies and Twinchies? I showed you how to make Inchies before. The difference between Inchies and Twinchies is - one inch (or 2.5cms!) You could really call them "Two Inches" instead of their nickname. 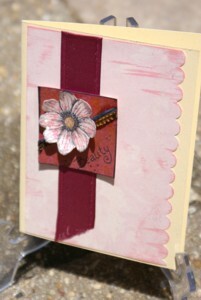 I made a handmade greeting card with my latest one and will show you how I did that. Cardstock, stamps and inks/decorative elements of choice. This time I used some paint daubers, black Stazon ink, markers, ribbon and some Dazzling Diamonds glitter. 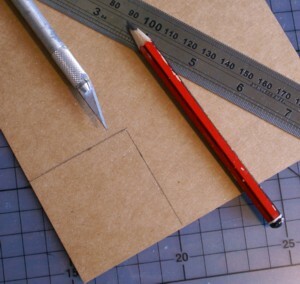 Decorate the chipboard as a background. 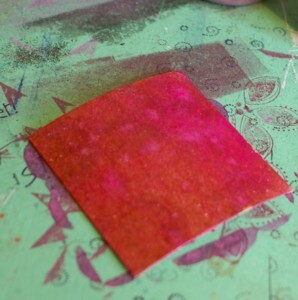 Here I used copper and pink paint daubers to make a pretty, metallic background. 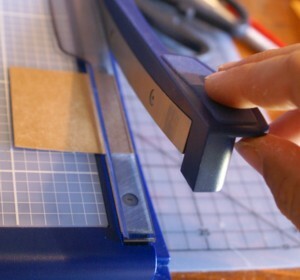 Don't worry if the chipboard arches up a bit as you paint it. The chipboard flattens out as the paint dries, especially if you place it under something hard and flat after it is dry enough. I also shaped the petals a little so the flower would look more three dimensional. 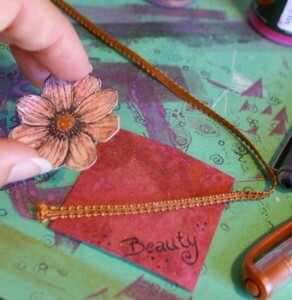 I used a black Stampin' Write marker to add some dots and the word 'Beauty', and a gold marking pen to add some shine to the edges of the chipboard. And there you have it. My finished Twinchie! Of course, the possibilities with making these little gems are really rather endless. You could use any way you like to decorate your embellishment, to suit any occasion. How nice would this be if you used a heart stamp for Valentine's Day, or a cake for a birthday card, or some cute little booties for a baby card? You can also use them to decorate scrapbook pages and OTP projects, of course. Imagine twelve of them, all decorated differently, in a pretty frame! 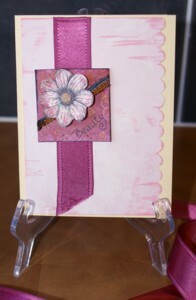 You could use some of the ideas on the Inchies page on them as well. Or why not organise a swap with your scrapbooking and cardmaking friends to get even more ideas for how to decorate these cuties? 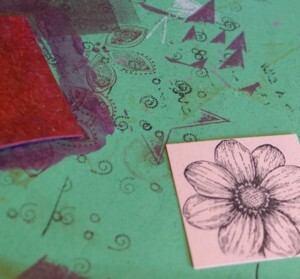 Have fun making your own cute little 2" pieces of art. And if you make some, please do tell me about them and show them off. Have A Favourite Altered Art Piece? 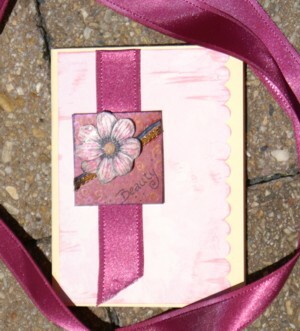 Do you have a piece of altered art you have created? I'd love to see it.